This page is a short introduction to the life of William Shakespeare and to one of his most famous works, The Merchant of Venice, adapted from Sparknotes. Shakespeare was born in 1564 in Stratford-upon-Avon, England. He attended grammar school, but his formal education proceeded no further. In 1582 he married an older woman, Anne Hathaway, and had three children with her. Around 1590 he left his family behind and travelled to London to work as an actor and playwright. Shakespeare eventually became the most popular playwright in England and part-owner of the Globe Theatre. His career bridged the reigns of Elizabeth I (ruled 1558–1603) and James I (ruled 1603–1625), and he was a favourite of both monarchs. Indeed, James granted Shakespeare’s company the greatest possible compliment by bestowing upon its members the title of King’s Men. Wealthy and renowned, Shakespeare retired to Stratford and died in 1616 at the age of fifty-two. Shakespeare’s works were printed in various editions in the century following his death, and by the early eighteenth century, his reputation as the greatest poet ever to write in English was well established. Some people have concluded from Shakespeare’s modest education that Shakespeare’s plays were actually written by someone else but the support for this claim is overwhelmingly circumstantial, and the theory is not taken seriously by many scholars. In the absence of credible evidence to the contrary, Shakespeare must be viewed as the author of the thirty-seven plays and 154 sonnets that bear his name. The legacy of this body of work is immense. 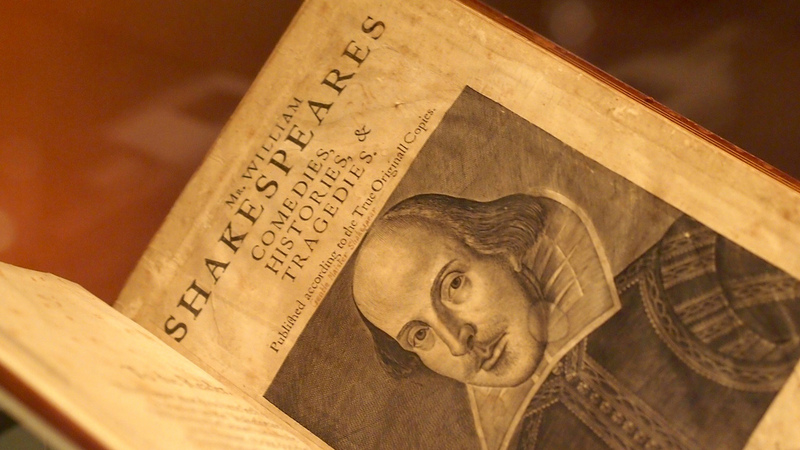 A number of Shakespeare’s plays seem to have transcended even the category of brilliance, becoming so influential as to affect profoundly the course of Western literature and culture ever after. The Merchant of Venice was probably written in either 1596 or 1597. Its basic plot outline, with the characters of the merchant, the poor suitor, the fair lady, and the villainous Jew, is found in a number of contemporary Italian story collections. 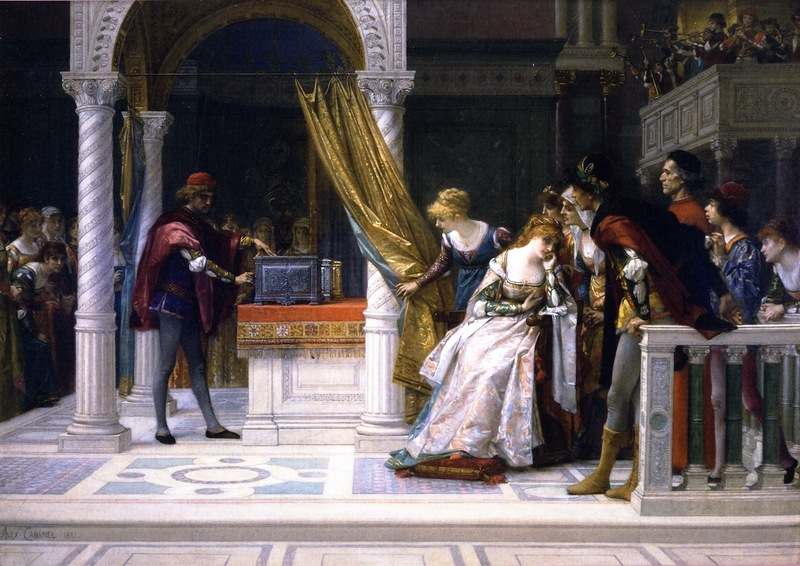 The Merchant of Venice’s Italian setting and marriage plot are typical of Shakespeare’s earlier comedies, but the characters of Portia, Shakespeare’s first great heroine, and the unforgettable villain Shylock elevate this play to a new level. Shylock’s cries for a pound of flesh have made him one of literature’s most memorable villains, but many readers and playgoers have found him a compelling and sympathetic figure. The question of whether or not Shakespeare endorses the anti-Semitism of the Christian characters in the play has been much debated. Jews in Shakespeare’s England were a marginalized group, and Shakespeare’s contemporaries would have been very familiar with portrayals of Jews as villains and objects of mockery. Shakespeare certainly draws on this anti-Semitic tradition in portraying Shylock, exploiting Jewish stereotypes for comic effect. But Shylock is a complex character and Shakespeare makes him seem more human by showing that his hatred is born of the mistreatment he has suffered in a Christian society. Shakespeare’s character includes an element of pathos as well as comedy, meaning that he elicits from readers and audiences pity and compassion, rather than simply scorn and derision. Compare the two prezi. Which one did you like best? Why? What are strenghts and weaknesses of each of them? Do a websearch to identify the main themes, motifs and symbols in the Merchant of Venice. Put together your findings and create a document which must not exceed 300 words. To help you with your search, keep in mind that themes are the fundamental and often universal ideas explored in a literary work, whereas motifs are recurring structures, contrasts, and literary devices that can help to develop the text’s major themes. As for symbols, they are objects, characters, figures, and colors used to represent abstract ideas or concepts. Write a summary of the plot: keep it simple and short (K.I.S.S)! It will be helpful for your oral testing. This short cartoon can make your life easier … it’s about the plot. Unfortunately automatic subtitles are not very accurate, but the narrator speaks slowly and clearly enough. All you need to know about Elizabethan theatre is contained in this awesome video realized by a IV grade class of Liceo Scientifico “Galileo” in Benevento, Italy. As you probably already know, if you have watched the previous video and read the material on this page, theatre during the Elizabethan period was not a matter for women.They were not allowed to perform on stage since it was deemed inappropriate for a woman to undertake such a role. There was actually a law forbidding it. Young boys were therefore hired to act in the female roles.- In this clip, taken from the film Shakespeare in Love the problem emerges clearly. One of the actors performing on stage turns out to be a woman and because of this the theatre is about to be closed. 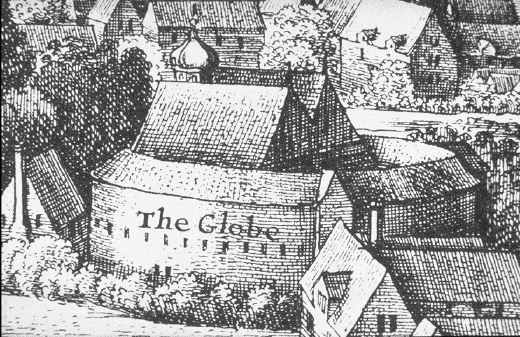 The Globe theatre and its plays represented a a new form of entertainment for Londoners which attracted huge crowds – up to 3000 people. The presence of so may poeple was an opportunity for thieves, gamblers, pick-pockets, beggars, prostitutes and the like. Many Londoners were Puritans (strict Protestants) and were not welcoming the theatres and many of the people they attracted. They wanted to contrast the rise in crime and the lewd nature of some of the plays, as well as fighting and drinking. Another reason they appealed to was the risk of the spread of diseases like the plague.